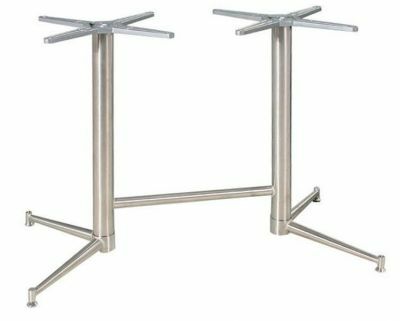 Stylish brushed steel table base for rectangular table tops 1200mm x 800mm, this table base a unique four foot design with supporting bar. Available from stock for a fast and free delivery across the UK. Alluring brushed aluminium café table bases for a variety of commercial applications supports rectangular café table tops, unique table base with a modern design.